The Pick Sanitary Heater heats or cooks any water miscible liquid or slurry instantly on a continuous straight through basis. It can also handle slurries containing bite sized pieces such as salsas or stews…with piece integrity retained! Pick is the only Direct Steam Injection system that achieves set point temperature on demand with a non-shearing action. Forget the inherent process inefficiencies and maintenance headaches of traditional batch cooking. 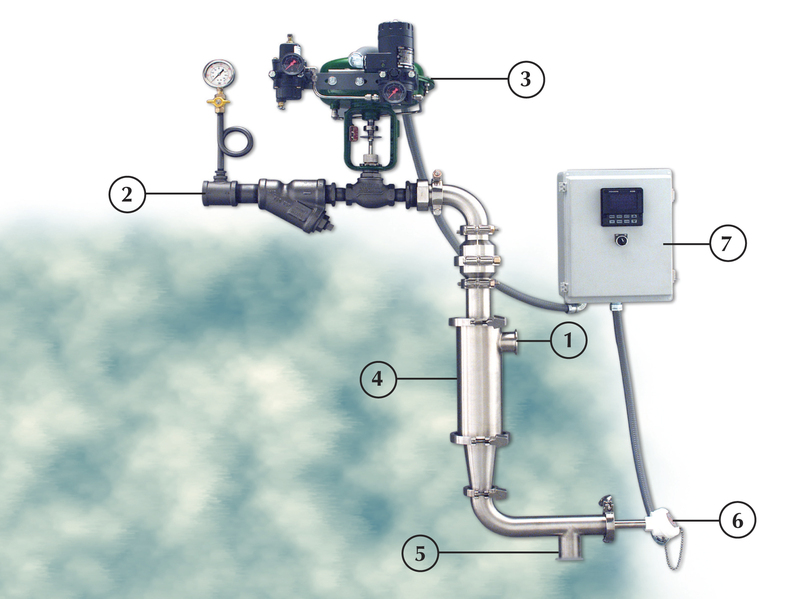 Pick Direct Steam Injection allows you to heat in-line, with precise temperature control and 100% energy efficiency. Water-miscible liquid or slurry enters mixing chamber. Modulating steam control valve, activated by the temperature controller, admits just enough steam to maintain the desired outlet temperature. Steam and liquid mix thoroughly within the heater body. Heated liquid or slurry is ejected from the outlet.